Make a real easy paper crown using paper and scissors. The kids will love to help you with this. Cut paper into strips about 35 cm x 10 cm. Cut a fringe into one of the long edges of the paper, making sure that each piece of fringe is about 3 cm wide. After the fringe has been cut, roll up sections... 25/04/2012 · Paper Bag Crowns Saturday night is 'movie' night at our house. The girls get to choose a DVD and stay up a bit later than usual, eating popcorn and making blanket forts in the lounge room. 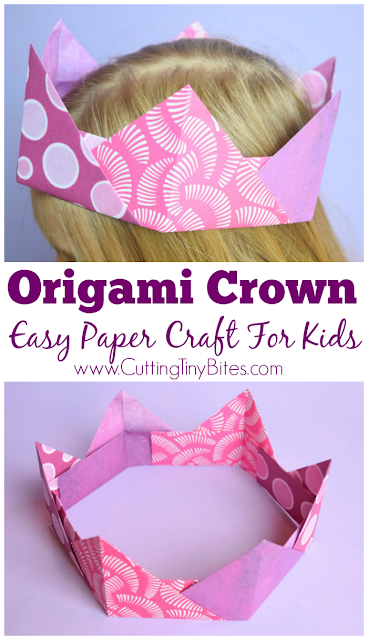 Make a real easy paper crown using paper and scissors. The kids will love to help you with this. Cut paper into strips about 35 cm x 10 cm. Cut a fringe into one of the long edges of the paper, making sure that each piece of fringe is about 3 cm wide. After the fringe has been cut, roll up sections... To make my crown I cut one piece in half lengthwise and glued the two pieces together, end to end using tacky glue. I press mine under a heavy book overnight to be sure it dries nice and flat. I press mine under a heavy book overnight to be sure it dries nice and flat. 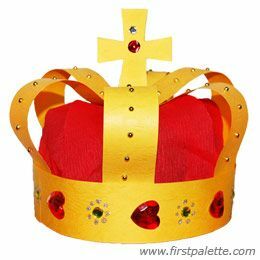 Easy Steps to Prepare a Paper Crown In order to create a paper crown, you will need certain stationery items like craft paper, scissors, glue etc. 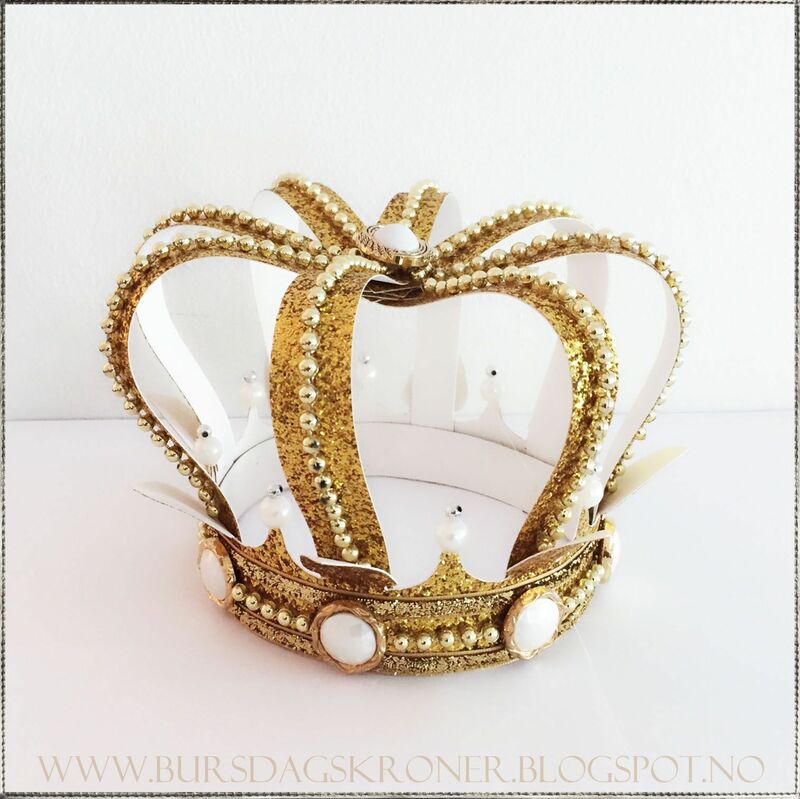 Let’s have a look at the materials and the steps for preparing a paper crown.... In this Simple Kid's Crafts tutorial, learn how to make a simple princess tiara. This activity is perfect for little girls age kindergarden and up. Let your little girl feel like the princess she is, by adorning this sweet handcrafted princess tiara made by none other but herself and her parent. How to Make Easy DIY Pinkalicious or Princess Wands We did a "Pinkalicious" birthday party for Katrina's 3rd birthday. For one of the party favours, I made little Pinkalicious wands for each of the girls.... How to Make Easy DIY Pinkalicious or Princess Wands We did a "Pinkalicious" birthday party for Katrina's 3rd birthday. For one of the party favours, I made little Pinkalicious wands for each of the girls. To make my crown I cut one piece in half lengthwise and glued the two pieces together, end to end using tacky glue. I press mine under a heavy book overnight to be sure it dries nice and flat. I press mine under a heavy book overnight to be sure it dries nice and flat.